HomeBootlegBootleg: Cradle Of Filth at Wacken 2015! Bootleg: Cradle Of Filth at Wacken 2015! 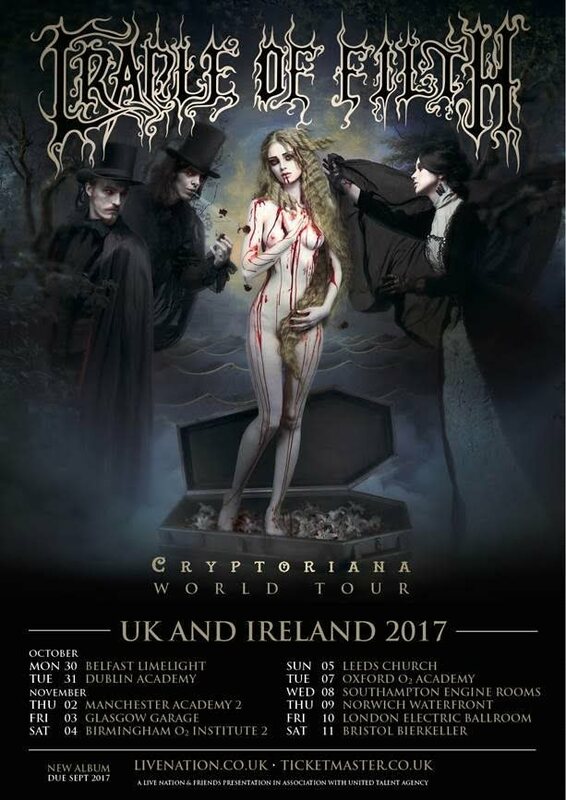 Bizarrely, Cradle of Filth are playing a free show in Coventry tomorrow. They’re headlining the Rock Tent stage at Godiva Festival, taking the stage at 21:25. More details on that can be found here. If you ever not see them before, here’s a trio of tracks from their set at Wacken in 2015 to whet your appetite! Classics “Right Wing of the Garden Triptych”, “Her Ghost In The Fog” and “From Cradle To Enslave” in full Pro-Shot quality. Bootleg: Thy Art Is Murder at Glass House!